Beautyqueenuk | A UK Beauty and Lifestyle Blog: It's all about the Eyes! One area on my face that I am always watching for when it comes to lines and wrinkles is my eyes. 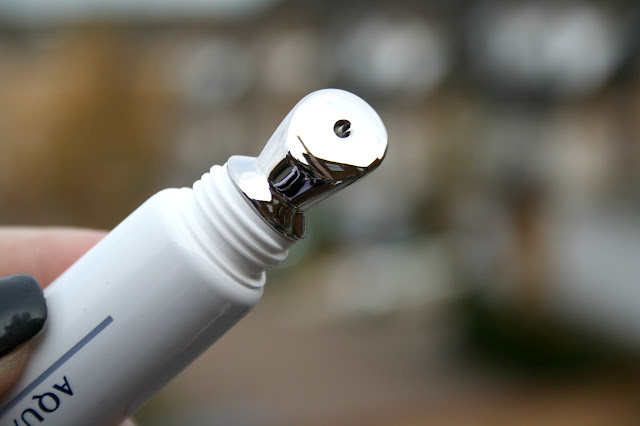 I have used a fair number of eye creams in recent years, but one thing I like are eye creams that have an applicator on the end, be it a roller ball or an applicator that is soothing. 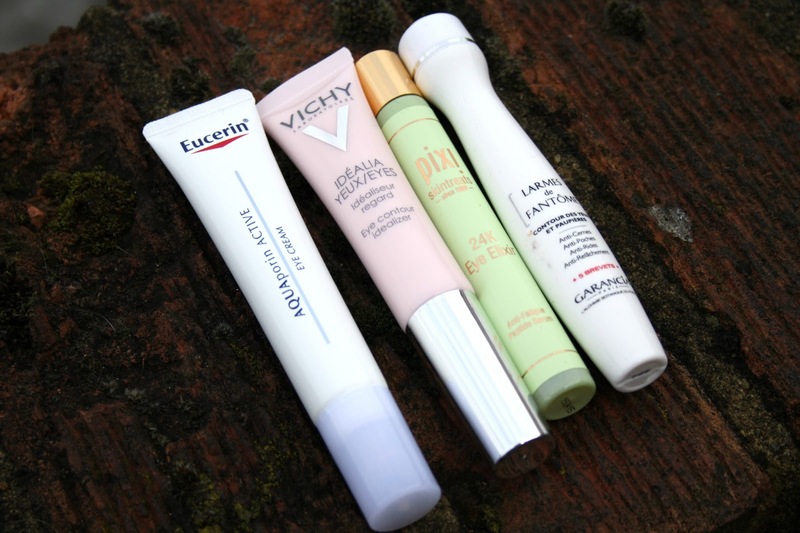 In recent months I have been on a bit of a mission to find some of my favourite eye creams and I have managed to find four that I really like and have used the most. 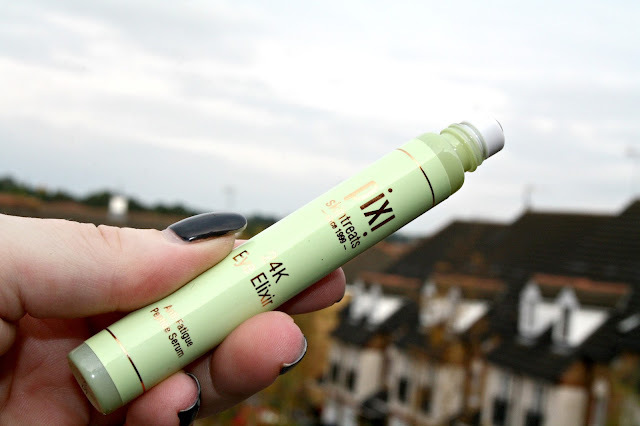 Pixi by Petra 24K Eye Elixir (£22.00) which is an anti-fatigue peptide serum that massages away puffiness as it smoothes and refreshes the eye area. The formula contains actual gold, to stimulate circulation, peptides to plump fine lines, and raspberry to tone the skin. The metal rollerball gives a fantastic cooling feeling on application, which is instantly refreshing. 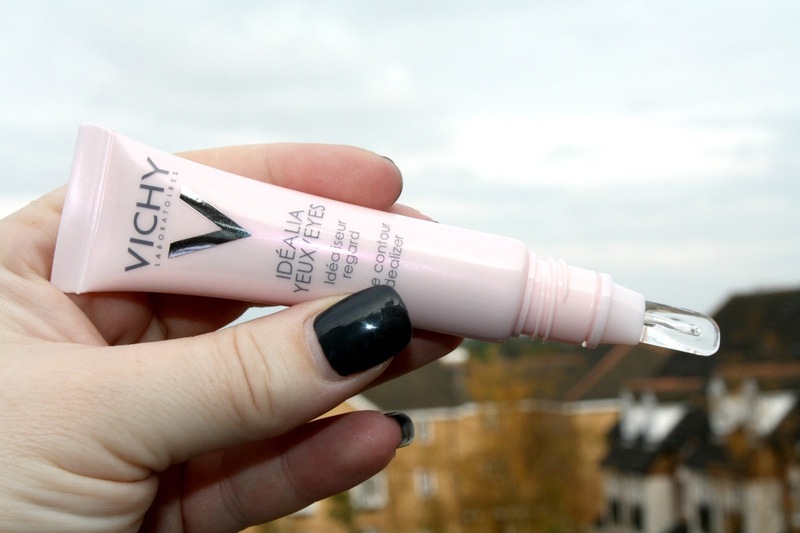 Vichy Idealia Eyes (£23) is enriched with ingredients that both immediately and sustainably rejuvenate the area. There is also the use of instant illuminators and a combination of DRM-Bright complex and Vitamin B3 to reduce dark circles, Vitamin CG to smooth fine lines, and Caffiene to energise. A rich infusion of Vichy’s signature Thermal Spa Water intensely soothes the area. 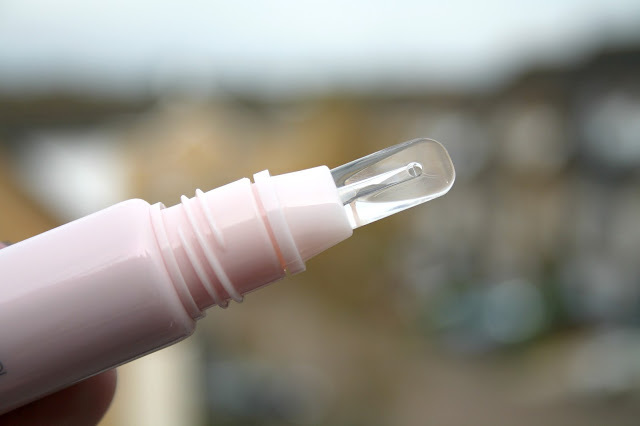 I love the applicator on this product, it is described as being a revolutionary applicator that replicates the soft touch of a finger, made from ultra flexible and ultra soft silicone. Garancia Phantom's Tears (£25) is possibly the best name for a product I have ever come across! It is a 4 in 1 Eyelid and Eye Contour Area Treatment with active ingredients to combat dark circles, bags, wrinkles and sagging and it also contains High-Tech light reflective powders and active patented ingredients to help combat the appearance of wrinkles, protect superficial periorbital blood vessel from the loss deposit of pigments responsible for colouring dark circles and pufiness, promote their natural elimination and redensify the supporting tissue by boosting collagen and hyaluronic acid. The small rollerball on the end is exceptionally soothing and comforting around the eye area when used. Eucerin AQUAporin Active (£15.50) is enriched with Ginseng and is an ophthalmologically tested, moisturising formula that works to provide deep and long-lasting hydration around the delicate eye area to de-puff and counteract the appearance dark circles. Hydration is a key factor for healthy skin as we all know and the Aquaporin Active range uses the skin’s own distribution channels (Aquaporins) to give it the hydration it needs. It uses a unique, patented formula which works by transporting moisture between the skin cells for optimal, maintained skin hydration. 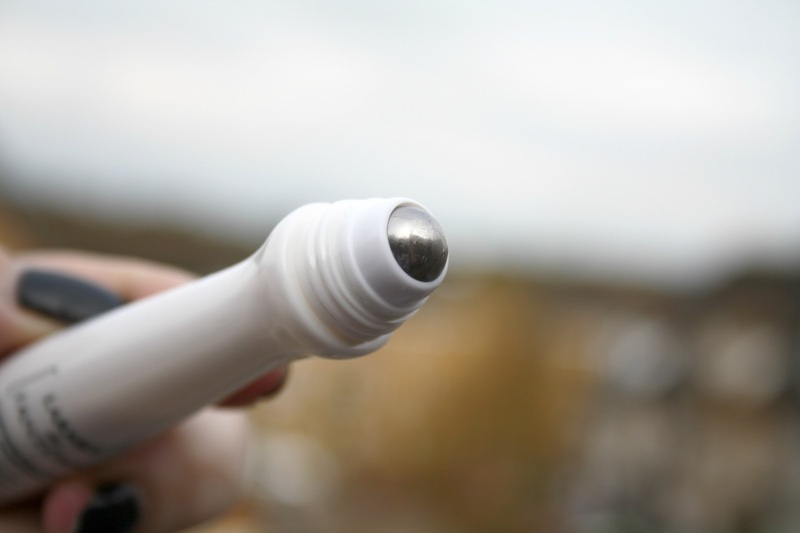 The applicator is a metal nib which glides under the eye with ease and gives an instant cooling effect. Each one of these eye creams has been fantastic to use and each one has it's own specifically designed applicator which all work differently but are all cooling, refreshing and all help with puffiness and dark circles. I've never worried about my eyes (apart from the nights when I have to pull an all nighter) used to use something similar to Eucerin AQUAporin Active. Great product information! I love using rollons especially round the eyes. I think Pixi by Petra 24K Eye Elixir might be the one for me. I don't normally spend a lot on eye cream, I usually use the one from Simple but i don't use it as often or worried about it. But thank you for sharing such a great selection and perhaps I would invest in one in the future. I am not a big fan of applicators and roller balls and prefer to use my fingers, but these all sound packed with amazing ingredients! I love Kiehls eye products, but never like to use the same products all the time, but I always go back to that brand after a break. 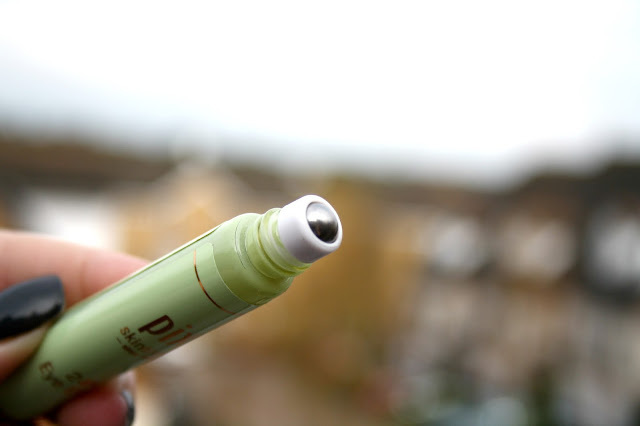 I've just actually started using the Pixi one this morning, I love the cooling feeling you get on application. I have never used an eye cream before. I don't like things round my eyes as I'm always scared I'll slip and blind myself. At the moment I just use a cheap eye cream, seems to do the job. Eye creams are everything to me right now im using the Emma Hardie Eye cream it is amazing the best one ive ever used! I'd love to try the Pixi one! I really really love the Clinique All About Eyes roller ball if they still do it, magic stuff! It's always great to read recommendations, there are so many skin care products on the market. Never heard of these, so I might have to give them a try! I LOVE applicator eye treatments! Currently, I use the First Aid Beauty Detox Eye Roller in the AM, and the Nourish Organic Soothing Eye Treatment (it has a metal applicator) at night. I love how refreshing they feel! I've been on the hunt for a good eye cream, will make sure I keep an eye out for these ones. Which one out of them is your favourite? I've got really sensitive skin so thank you for the recommendation of Eucerin AQUAporin Active- I didn't know they did eye creams. I'm currently using Nuxe's eye cream and I love it. I am currently reviewing Pevonia eye cream so will have to see if it's my new fav. i need to start using some eye products!! i need all the help i can get. I definitely need to start using eye cream so this is a very useful post. I like the sound of the Pixi one! Eye cream has to be the one product that I forget to do the most...but it is so important! I really need to get better at remembering to apply this at night. I just got an eye cream from Algenist and can't wait to try it out! I hear such awesome things about the brand! 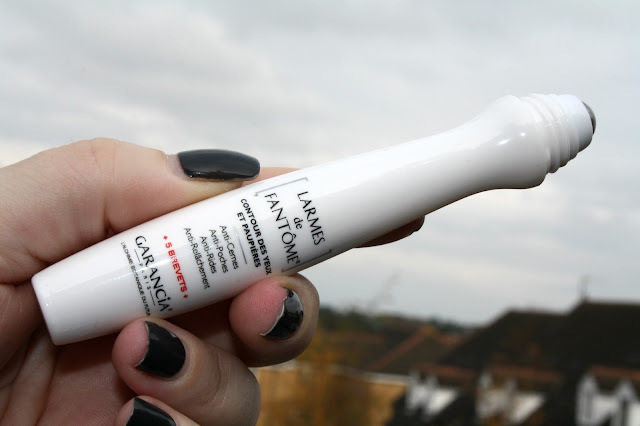 Never been a fan of these types of applicators for my eyes, I prefer using my finger and patting motion, but I love "Phantom's Tears" what a brilliant name. 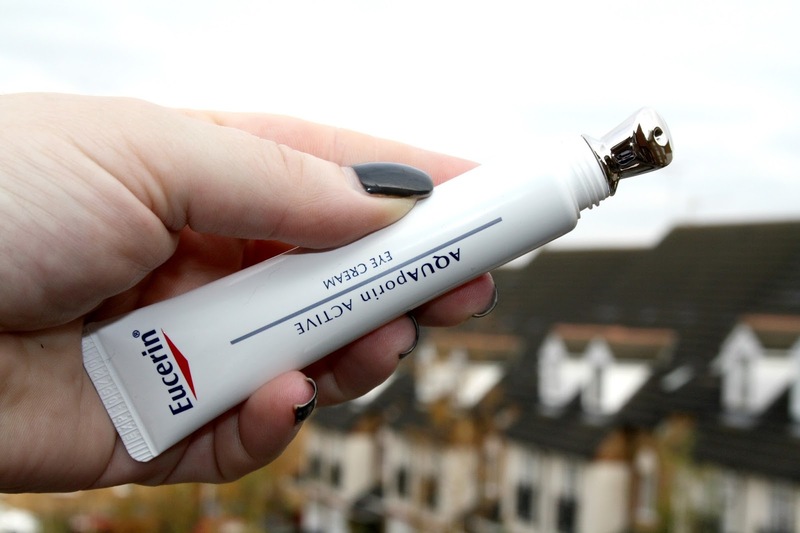 I've never really found an eye cream that I love, but I do like the sound of the Pixi one, and the applicator on the Eucerin one looks fab!